Christmas is the time to celebrate and play music! But what Christmas piano sheet music can you get as an adult beginner? (And are you going to manage to learn to play it in time for Christmas?) Worry no more! 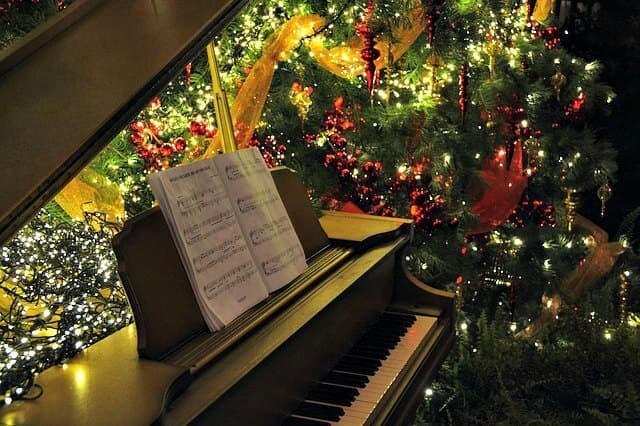 Here is a selection of Christmas piano sheet music for adult beginners. I have scoured the internet for free, easy piano sheet music as well as for the best Christmas sheet music books to keep year after year with lots of fun pieces to play (and not so much practice!) and sing a long with. Let the caroling begin! Easy and popular Christmas piano solo music to gladden the heart and ears of all! (Links open in a new window and are PDF if not otherwise stated). The most popular Carols with lyrics and piano accompaniment. Sing as you play or invite family and friends to gather 'round the piano! Free to download and print. (Links open in a new window and are PDF's). It's great with free sheet music to print and get immediately, but it's even nicer with that special Christmas Music album to pull out year after year, with loved and well known favorites! 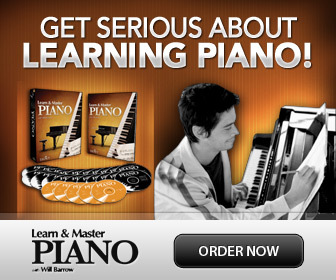 Here are my selections for adult beginners: Easy piano, for the beginner who knows how to read notes with both hands. Which one will become your new favorite? Big collection of traditional songs, hymns, carols as well as popular hits. Good organization of the songs in the index! Piano score with lyrics. Works as solo piano as well. Similar to the previous, but has more songs for the whole family. Includes the theme from "Polar Express". With big note notation for easier reading. 11 well-known Christmas carols arranged at a later elementary level (sounds trickier than they are). Piano solos for the solo player! The arrangements are more modern, with the occasional dissonance for a spicy flavor.